The house where the pizzeria is located was built in 1920, in the same year when my dear grandfather Tar Gyula was born. Among these walls he was dreaming about the days when his home of birth should become a place of a prosperous business. His dream was carried out by my father who, due to his hard and diligent effort could open the Tar Hairdresser’s Studio in 1976, which is still working under the leadership of my mother. I was born in this family similarly to my ancestors under the same name: Tar Gyula. Even in my childhood I felt as if Italian blood was gurgling in my veins: From my early childhood I wanted to be a football player. I did my best to fulfill this desire of mine. I was a keem supporter of the Milan football team and I was interested in anything that had something to do with Italy. In 1989 I got a Milan strip from my father which is still one of the most precious ornament of the walls of the pizzeria. My devotion to Italy was increasing year after year. I often spent my summer holiday in the boots shaped country and I had to realise that I was always staring at pizza huts there. In 1996 my life made a big turn. I have travelled to Australia. On that remote continent I managed to get into real contact with Italy as I could find a job in an Italian pizza hut. When the chef rolled out the pizza in front of me I immediately realised that it would be the profession of my life. I was working for 3 years in Australia as a pizza cook. After the years spent there my heart and my love pulled me back to Hungary. I opened the Tar Pizzeria just close to the Tar Hairdresser’s Saloon in 2003. 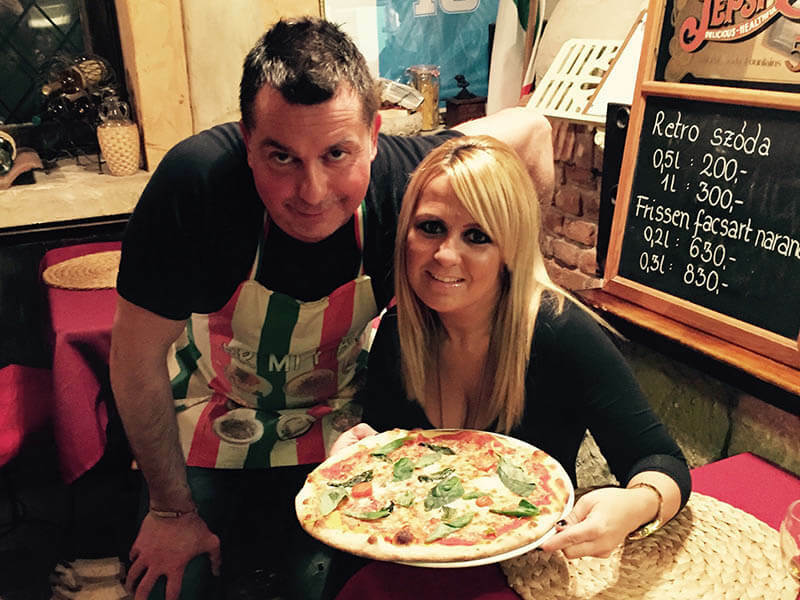 The greatest appreciation of our work and the pizzeria can be measured in the satisfaction of our guests.